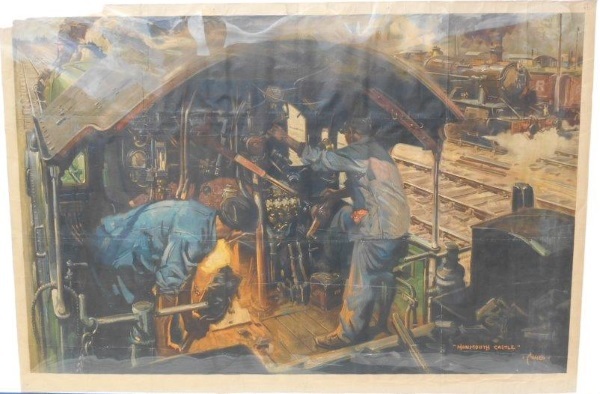 Lot 131 Q/R Poster The image part of 1949 Railway Executive "CLEAR ROAD AHEAD" by Terence Cuneo. The view inside and ahead of Monmouth Castle, travelling at speed. Top left corner loss and creased.